1. Given the historically documented tradition of the arrival of numerous pilgrims through the Gate of A Coruña, the possibility to obtain the Compostela is granted to those who, having travelled part of the Camino in their countries or regions of origin, travel on foot the distance which separates the Port of A Coruña from the Cathedral of Compostela. 2. 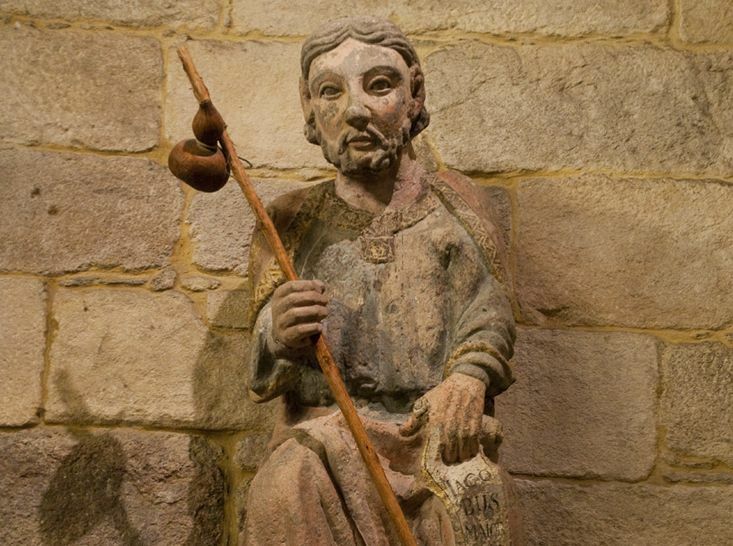 Moreover, the inhabitants of the city of A Coruña and its surrounding district who, “devotionis causa”, visit the Jacobean areas of their city and travel the rest of the pilgrimage on foot to the sepulchre of Saint James the Apostle. 3. As regards pilgrims or walkers who do not comply with these conditions, these may, however, receive the document accrediting having visited the Cathedral and the sepulchre of Saint James the Apostle. Image: Saint James the Greater. Church of Santiago in A Coruña.